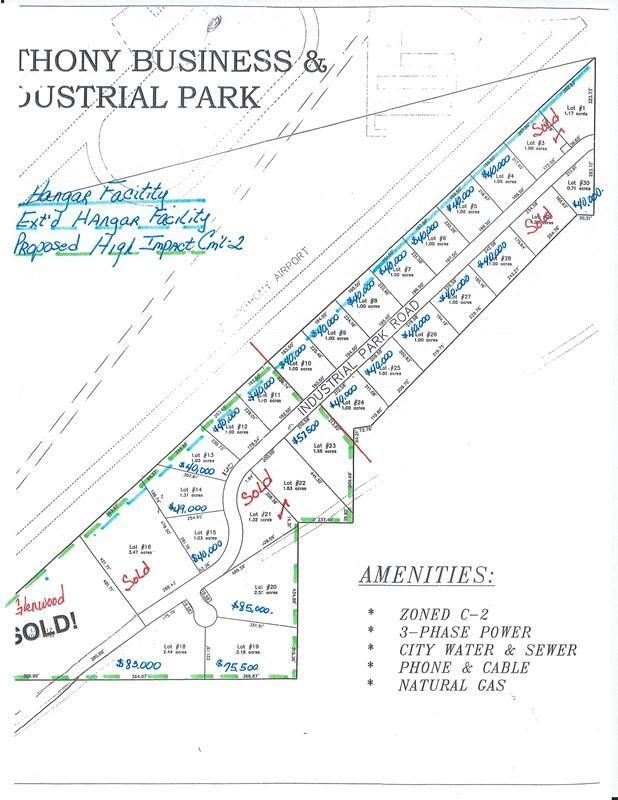 Quality business and light industrial building lots in fully improved park on southeast side of St. Anthony. On lots 1 thru 17, at fence on west boundary of park the maximum height of any permanent structure is 4', 43.5' further east 10' max, 35' further east 15' max and another 35' east is 20' max height for permanent structures. Lots 1 thru 17 have been designated for access to a taxiway which will then access the St. Anthony Airport runway. The taxiway will be created and maintained by the owners of the lots served by the taxiway. Lots 11 thru 23 have been designated as High Impact Commercial - HIC1. Full plat loaded into Documents. Listing provided courtesy of Realty Quest. Information provided by Snake River Regional Multiple Listing Service (SNRRMLS) is deemed reliable but not guaranteed. Real estate listings held by brokerage firms other than The Perfect Home are marked with the SNRRMLS logo or an abbreviated logo and detailed information about them includes the name of the listing broker. Data last updated: 2019-04-23T21:23:38.66.